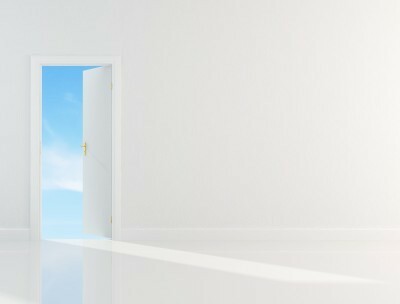 Movoto.com surveyed some of the best real estate agents in the business and put together a summary called “64 Tips For First Time Home Buyers“. If you’re thinking about purchasing an Orlando home, check out these 67 tips. Then contact us for help with your next Orlando home purchase. Also check out our new search page and share with your friends, Buy407.com. Access Teri’s one-stop Orlando FL home shopping website. Teri Isner is the team leader of Orlando Avenue Top Team and has been a Realtor for over 17 years. Teri has distinguished herself as a leader in the Orlando FL real estate market. Teri assists buyers looking for Orlando FL real estate for sale and aggressively markets Orlando FL homes for sale. Hurricane Sandy’s immediate impact on real estate in the hardest hit Northeastern neighborhoods has become painfully evident, from New Jersey shore houses completely swept away by the sea to entire neighborhoods like Queens’ Breezy Point tragically leveled to the ground. But this latest natural disaster won’t just affect certain ZIP codes, it will weigh on America’s housing market as a whole, according to Forbes.com. In many parts of the country a housing recover has begun. Nationally, home sales have been notably higher this year as compared to last. In September, existing home sales were up 11% year-over-year and pending sales up 14.5%, according to the National Association of Realtors. 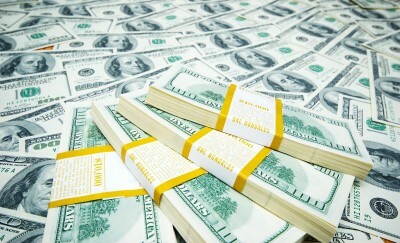 Prices have risen too, with the national median sales price $183,900, or about 11% higher than September of 2011. Inventory has fallen drastically in many parts of the country, fueling the uptick in prices. The rising numbers have helped housing become a bright spot in recent economic reports, with analysts projecting that residential investment will positively contribute to gross domestic product this year for the first time since 2005. Take a look at sales figures in our local real estate market for October. Orange County saw 191 more homes sold in October 2012 than 2011, a 12 percent increase. The average sales price increased by 6 percent and the median sales price increased by 2% from October 2011. Market times decreased by 25 days or 15 percent. Osceola County homes saw home sales decreased by 1 homes, a 0.2 percent decrease. Prices increased with the average sales price up 0.5 percent and the median price increased by 7 percent. Market Times decreased by 31 days compared to October 2011. Seminole County residential sales increased by 19 percent with 115 more homes sold in October 2012. The averages sales price increased by 6 percent, and the median sales price increased by 14 percent compared to October 2011 levels. Market times decreased by 30 days or 18 percent. Residential sales in Lake County increased with 89 more home sold a 21 percent increase. The average sales price increased by 7 percent, while the median sales price increased by 9 percent during the same time period. Market times decreased by 24 days. Polk County saw 186 more home sold in October 2012 compared to 2011. The average sales price increased by 0.3 percent, while the median sales price increased by 7 percent. Market times decreased by 3 day compared to October 2011. Now is the time to get your best price on an Orlando home, before the prices move upward. Orlando was among cites showing a slight decline in home prices in September. The decrease of 1.4% was among the lowest decrease recorded in cities being tracked during the month. With continued record foreclosure sales amid a weak economy and tight underwriting standards that continue to constrain housing demand, home prices are expected to remain weak despite low interest rates and renewed government efforts to keep people in their homes. FNC’s latest Residential Price Index™ (RPI), released Monday, indicates U.S. home prices decreased as expected in September, consistent with weak housing activities reported for the month. The trend marks the second month of price declines after a relatively robust summer home-buying season. Based on the latest data on non-distressed home sales (existing and new homes), FNC’s RPI shows that single-family home prices fell in September to a seasonally unadjusted rate of 0.4%. As a gauge of underlying home value, the RPI excludes sales of foreclosed homes which are frequently sold with large price discounts reflecting poor property conditions. The RPI is the industry’s first hedonic price index − built on a comprehensive database blending public records with real-time appraisals of property and neighborhood attributes. By modeling observed sales prices as being determined by property and neighborhood attributes, one of the key advantages of the RPI is its ability to capture intrinsic home price trends. Two broader RPI indices (the National and 30-MSA composites) showed month-to-month declines in September at 0.4% and 0.2%, respectively. Although both indices mark a second month of price weakening, smaller declines were realized in September when compared to the August measures. Meanwhile, the 10-MSA composite index showed a small uptick from the previous month. On a year-to-year basis, home prices are about 3-4% lower than September 2010. In addition to Orlando’s 1.4% decline, several other metro areas tracked by the FNC 30-MSA composite index, also recorded weakened prices in September, including Charlotte (-1.8%), Cleveland (-1.6%), Las Vegas (-1.6%), Tampa (-2.4%), Sacramento (-1.5%), San Francisco (-1.4%), and Miami (-2.8%). Growth momentum in Detroit, which has seen prices rising consistently month over month since April for a cumulative total of 9.4%, subsided in September and prices were flat during the month. In Chicago, home prices enjoyed another strong rebound: up 3.1% from the previous month following August’s 2.8% increase. On average, Chicago home prices rose 3.0% during the third quarter. Year to date, Boston, Houston, Detroit, San Antonio, Minneapolis, and Chicago are among those showing the best price appreciation, up 6.0%, 5.4%, 4.2%, 4.2%, 3.8%, and 3.7% respectively. Foreclosures sales and the glut of foreclosure inventory continue to depress the Miami, Las Vegas, Orlando, and Tampa markets, where prices are down 8.5%, 8.3%, 6.6%, and 6.2%, respectively, year-to-date. Year to year, Orlando, Las Vegas, and Tampa continue to lead the nation in annual price depreciation in double digits, down 14.4%, 13.0%, and 11.6%, respectively. Only two cities − Boston and Detroit − showed modest annual price appreciation, with home prices rising 2.2% and 2.0% in the last 12 months. As of September, home prices in San Francisco and Chicago also remain slightly higher than a year ago. FEMA wants everyone to know about the upcoming Emergency Alert System (EAS) test and how it may impact them. The first nationwide test of the Emergency Alert System (EAS) will take place at 2:00 PM (Eastern Standard Time) on November 9, 2011. The purpose of the test is to assess the reliability and effectiveness of the EAS as a public alert mechanism. EAS Participants currently participate in state-level monthly tests and local-level weekly tests, but no top-down review of the entire system has ever been undertaken. The Commission, along with the Federal Emergency Management Agency, will use the results of this nationwide test to assess the reliability and effectiveness of the EAS as a public alert mechanism, and will work together with EAS stakeholders to make improvements to the system as appropriate. “Not a drive by” is real estate talk for letting another Realtor know that they have to really work at getting a buyer to go inside to check out the home because the curb appeal just isn’t there. People would drive by and keep going thinking the inside was as unappealing as the outside. When potential Orlando home buyers are looking for a new place, they want a home that looks like it was loved and cared for. They have a sense that if there is pride in the landscaping and the outside of the home, there will be pride on the inside, too. 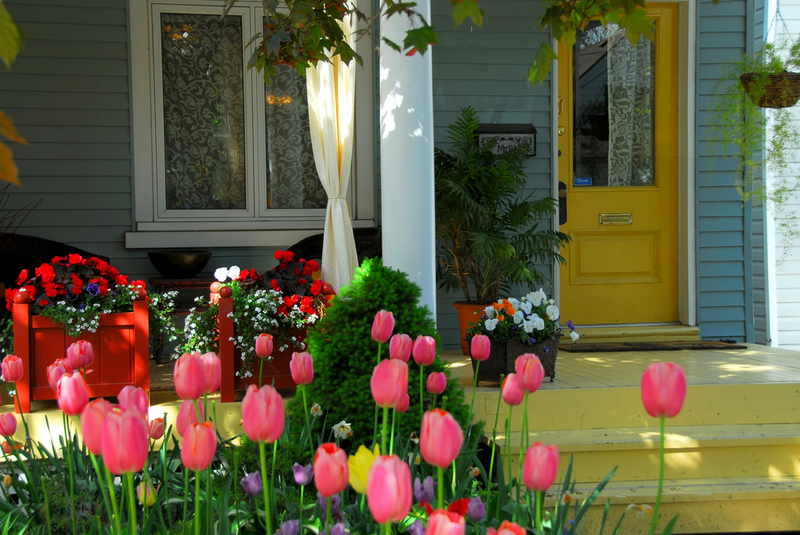 Curb appeal is both a visual and emotional hook for buyers. It says “Someone was happy here. I could be happy here, too.” In a tough housing market, the curb appeal of a home makes it stand out and can ultimately make a difference in selling the home. 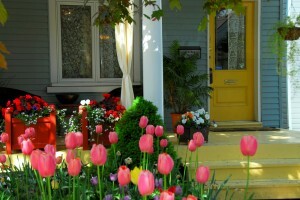 One of the most inexpensive renovations to a home is landscaping. Combined with other small outdoor touches that improve curb appeal, you increase the value of your most important investment. A home is not just a place to live, it is one of the most important investments you can make. Landscaping investments will actually appreciate if they are properly maintained. Orlando plants and trees in nurseries to find some that appeal to you. An investment of $500 to $3000 will help trigger the sale of your home. Nurseries have experienced staff who are eager to help you redesign your yard. You could hire a landscape architect to re-design your outdoor space and create an ideal look for your neighborhood. Or, you could do it yourself for much less of an investment. Be sure to consult with local nurseries to find the best trees and shrubs for your climate, and determine how to properly care for them. PURGE. This can be extremely tough for most of us, but seriously consider getting rid of items that you haven’t used in a year. It is often that items at the back and sides of our closets have become completely forgotten. Just take a bit of time to sweep through your entire closet and really consider what is worth keeping or throwing out. And if throwing out belongings is a bit too extreme for you, opt for moving the item to a drawer or to a storage area for safekeeping. CATEGORIZE. An excellent way of keeping your closet mess free is to place like with like. This means, dresses with dresses, pants with pants, and shirts with shirts. This makes it so items are easy to find and easy to put back, so that you don’t end up making a tornado out of your closet when trying to find things. Plus, this saves you time. ADD MORE. By this I don’t mean more clothes, but more organizational units. Assess your closet to see if another rod can fit into your closet, or if the floor or back areas of your closet are vacant. We tend to forget about those areas, which can be perfect for smaller storage cubes and shelves. Sometimes making a trip to the home/furniture store can give us amazing storage ideas, and can offer closet organizer units you never even knew existed. UNIFORM. This is not a must, but if you want to make your closet look presentable, having it look uniform is key. Your storage and organizational units should be the same, meaning cubes/shelves should be relatively similar, as well as hangers. Refer to home catalogues or furniture store displays for examples. BE CRAFTY. Make the most out of your hangers by hanging smaller, similar items. Hang tops or even pants over the bar of the same hanger. MAINTENANCE. It seems so logical, but often homes can go without a good cleaning for a lengthy period of time. Keeping your home clean and tidy is most definitely the simplest way to looking more expensive. Clutter and mess absolutely degrades its worth. WALLS. The quality of your walls says a lot about the quality of your entire home. A fresh coat of paint is always refreshing to see, and be sure to cover chipped areas and to remove marks. FRAMES. Posters and pictures taped up on walls just looks sloppy. 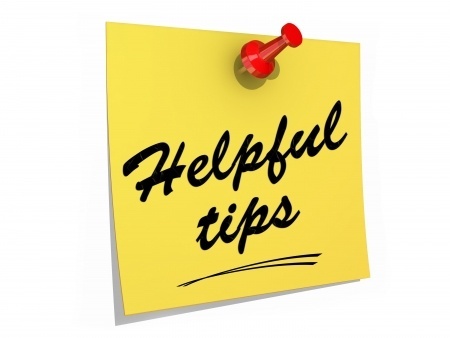 Buying frames for your posters and pictures that are worth displaying looks absolutely polished and presentable. Nice looking frames need not be expensive either. This also goes for people who have not displayed anything on their walls. Hanging framed posters and pictures and pieces of art always looks very appealing. TEXTURE & PATTERNS. From your pillows to your rug, opt for regal looking patterns, most likely in deep tones. Window drapes in one room, like your family or living room, just screams luxury, and if it’s not too daring for you, a faux fur rug can do wonders. Neither has to be pricey, but just be careful not to go crazy on the patterns. Stick to a few specific things to decide to pattern up. LITTLE THINGS. Focusing on small, cheaper house items can really spruce up your home. Opt for more expensive looking garbage bins, coasters and the like. For instance, choose a more visually pleasing material like glass or wood over plastic. 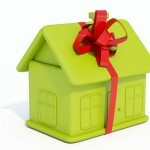 It is true; the First Time Home Buyer Tax Credit of up to $8,000 has been extended until April 30, 2010. This grant is for people purchasing a home for the first time. An additional grant of up to $6,500 is available to current homeowners purchasing a home between November 7, 2009 and April 30, 2010. First time homeowners must purchase a home between November 7, 2009 and April 30, 2010. Current homeowners purchasing a home in this same period must have lived in the home they are selling for five consecutive years. A first time home buyer is qualified if he/she or his/her spouse have not owned a home three years prior the purchase of a new home. The Extended Home Buyer Tax Credit applies to residences including single-family homes, townhomes, condominiums, and co-ops. The credit is based on the price of the home being purchased ($800,000 or under) and the buyer’s income (up to $125,000 for singles, and $225,000 for married couples to receive the full tax credit). You can check out the latest HUD home repair and rehabilitation programs available. You might qualify a mortgage to cover the cost of rehabbing a property as well as buying it. Talk to me or call your City Community Development Block Grant Program Coordinator. There is no better Orlando Valentine than a new home. You will want to check out this lakefront home in Ocoee on an acre with its own dock and sandy beach. It is a great price and perfect for a rehabilitation loan. 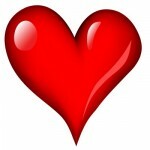 Search other Orlando homes for sale for your Orlando Valentine.